UNAVCO coordinated an annual site visit to the Barrow Arctic Science Consortium (BASC) facility with the arrival of the research team from University of Texas, El Paso (UTEP), to both upgrade parts of the GPS system and train the UTEP team on the system. The base radio was upgraded to a Pacific Crest HPB450. A new Trimble R7 receiver with an internal radio and TSC2 controller were added to the list of available equipment for users at the BASC facility. Members of the UTEP group were trained on the system. The group manages the GPS equipment throughout the summer season. Additionally a NetRS receiver and antenna were installed at the ARM Climate Research Facility (ACRF) in Atqasuk, Alaska, which located approximately 70 miles south of Barrow. 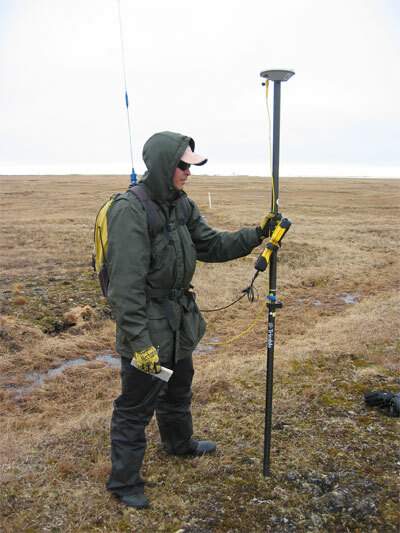 The GPS base station (ATQK) provides a local source of geodetic quality differential corrections for GPS data post-processing by scientists and others operating in the Atqasuk area. The station runs continuously, and 15 second sample rate data are archived at UNAVCO and available to the public. Figure 1 - A University of Texas, El Paso (UTEP) research team member is trained to use the new Trimble R7 receiver and TSC2 controller. 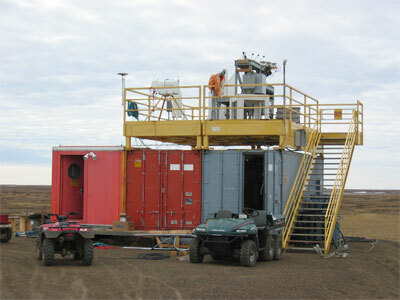 Figure 2 - The ARM Climate Research Facility (ACRF) in Atqasuk, Alaska recieved a new NetRS receiver and antenna to upgrade its GPS base station.